We are thrilled to have such a diverse and interesting class of Dream Award recipients! Jorge’s story continues our series on each of the ten 2017 students. Throughout the next few months we will be posting more stories on a bi-weekly basis featuring these amazing individuals. Check out previous student stories by visiting our Success By Degrees blog. I nside Jorge Morales’s childhood home, rain would make the corrugated aluminum roof rattle with a thunderous pounding. The house itself was made of scraps of cardboard, wooden packing crates and tin. Jorge’s dad died when he was just five years old, and his mom worked three jobs to ensure her children could have a roof over their heads. At a young age, looking at the circumstances of his life, Jorge made a decision: one day he would build his mom a house. The path to that goal wouldn’t be easy. In Chihuahua, Mexico, where Jorge grew up, education is a luxury. Only one in four graduate high school. Jorge’s father only made it to the seventh grade, and his mother left school in the third grade, needing to work to help her family make ends meet. Hoping to open up opportunities for her children, Jorge’s mom moved the family to Fairfield, California. Motivated by his childhood notion to build his mother a house, Jorge applied himself rigorously to his school work. The more he studied, the more that dream took shape, and he imagined not only a beautiful house for his mom, but a well-designed community where people would flourish. Civil engineering became an attractive career choice, but in 2009 no provisions existed to assist undocumented students. Jorge graduated high school with a 3.9 GPA and enrolled in community college. However, he dropped out because the number of hours he had to work did not allow him to be fully involved in his studies. “I felt like the government was against me,” Jorge said. Three years later, the Deferred Action for Child Arrivals (DACA) program established some hope that Jorge’s dream could reach fruition. He quit his job to get a position at Costco, which paid more and had flexible hours to accommodate an academic schedule. 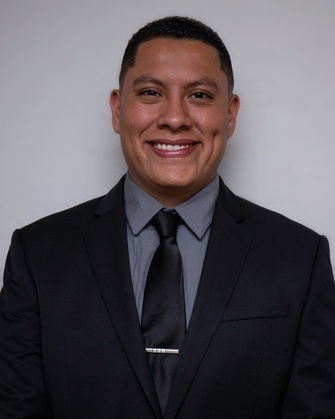 Jorge received funding from the state of California and San Francisco State University, and Scholarship America’s Dream Award filled in the gap between his financial aid and the cost of his tuition. He found out he received the award while he was checking his email with his family during dinner. “I was so glad to share that moment with the important people in my life,” Jorge reflected. Jorge’s determination to pursue his dream inspired several family members and co-workers to take steps toward their own dreams. Breaking the cycle of poverty is important to Jorge, so he always makes sure to encourage the people he meets along the way to climb out of their circumstances with him. A year from now, Jorge will be finishing his Civil Engineering degree with an emphasis in transportation at San Francisco State University. Scholarship America is delighted to play a part in helping Jorge realize his childhood dreams.